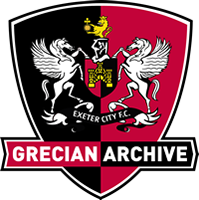 It was a surprise that Smith didn’t play more matches for Exeter City than he did, for he always looked a lively player with an eye for goal when he did in the handful of appearances he did make for the Grecians. 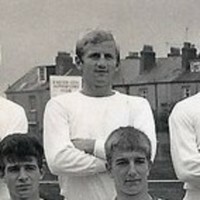 An apprentice with Tottenham Hotspur, he signed a full professional contract in June 1962, but in the four seasons after that he never made a first team breakthrough. 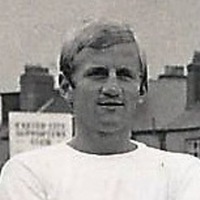 Smith signed for Exeter in June 1966 and made his debut at Hartlepool United in September of that year, scoring in the 3-1 defeat. He also netted a double in a 3-2 home win over Halifax Town the same month. Leaving St James’ Park after just one season, Smith signed for Southern League, Ashford Town. He then had spells with Guildford City, Banbury and Epping. 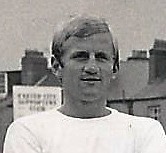 Smith moved into scouting and coaching and worked for Arsenal, ran a regional centre of excellence in Essex and was the youth academy director at Wimbledon. He joined Cardiff City as head scout in April 2008.